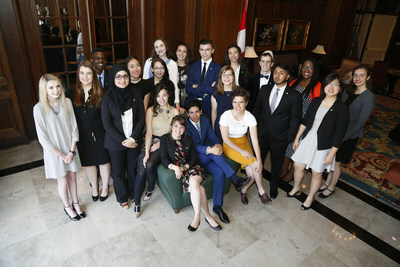 TORONTO, May 31, 2016 – Twenty community-minded students from across Canada know how to drive social change in their communities and today they are being awarded for their achievements as TD Bank Group announces the recipients of the 2016 TD Scholarships for Community Leadership. In recognition of their outstanding contributions, including launching mental health support groups, building Aboriginal literacy, and empowering and engaging youth, each student will receive up to $70,000 for tuition and living expenses for post-secondary education. In total, TD will award up to $1.4 million in scholarships to this year’s recipients. Following the suicide of a student at another high school, Rachel Creighton of Digby, Nova Scotia, founded the Digby High School Mental Health Support Group to help others overcome the stigma of mental health issues. After much research and planning, she recruited a retired mental health and addictions counsellor to facilitate the bi-weekly group. Rachel is proud of her motivational presentation at a conference in Kelowna, British Columbia and her volunteer mission to Ecuador. To redirect youth from negative influences such as gang activity, gun violence and drugs, Muneeb Muzaffar of Stoney Creek, Ontario created and co-led a youth focus group. With the belief that small steps can change a community, his group organized a basketball tournament and food drive and hosted a leadership workshop series to help young people discover their strengths and seek post-secondary education. He is currently playing a role in developing a community garden to feed those in need and also leads school athletics teams, leadership, and academics clubs. Growing up in isolated Nunavut where economic and social issues weigh heavily, Shelby Angalik of Arviat, Nunavut, discovered a love for theatre arts and its ability to help youth build confidence and life skills. To target low literacy rates in the north, she created a reading program for children under 10, in both English and Inuktitut. Following the loss of a paid school librarian, she volunteered to maintain the library. She also organized a peer orientation program to help grade 8 students transition to high school, with grade 12 students planning team-building and social events. Since 1995, TD Bank Group has contributed more than $21 million to 420 Canadian high school students for their post-secondary education through the TD Scholarships for Community Leadership program. Each year, 20 scholarships are awarded to students in their last year of high school or CEGEP (in Quebec) who have demonstrated leadership in improving their communities. Each scholarship has a value of up to $70,000, including up to $10,000 for tuition and $7,500 for living expenses per year. Recipients also have the chance to make lifelong connections through summer employment with TD, as well as mentorship and networking opportunities. To learn more about this year’s recipients or view details about the TD Scholarships for Community Leadership program, including eligibility requirements and the selection process, visit www.td.com/scholarship. Applications for 2017 scholarships will be available online starting September 2016. TD Bank Group invests in communities in order to effect positive change in the places where it operates and where its clients and employees live and work. In 2015, TD donated more than $92.5 million to community organizations in Canada, the United States and the United Kingdom. In Canada, TD focuses on education and financial literacy, creating opportunities for young people and the environment. 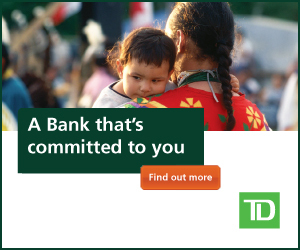 For further information, please visit www.td.com/corporate-responsibility.